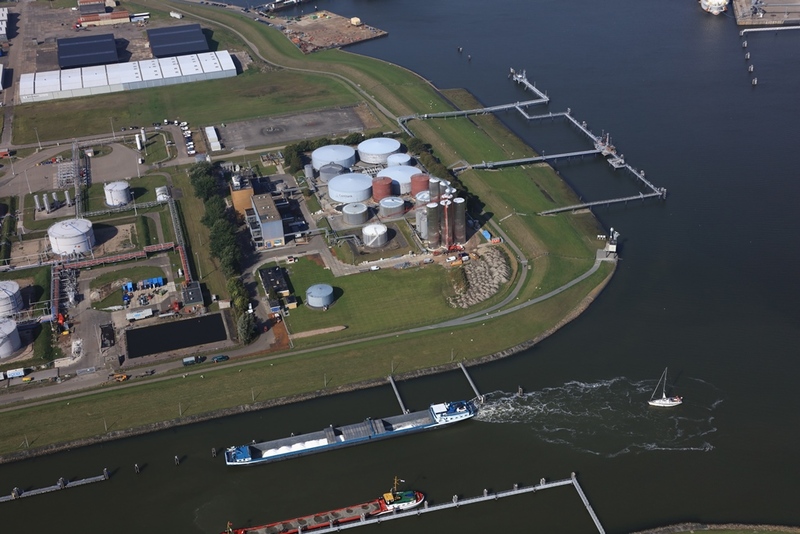 During the next few years, Contitank, a storage company for green raw materials, will be investing 17 million euros in new logistics facilities at the Delfzijl chemical park. The storage capacity is being be doubled to more than 50,000 m3. The increase in scale will create five new jobs. The expansion is being subsidised with more than 4 million euros from the Regional Investment Fund Groningen. The first new storage tanks were recently installed. In addition, Contitank is investing in a rail connection and in improving sustainability. Together with Groningen Seaports, a new pipeline is being built between the customers and Contitank. This will give the chemical park a second access point to the seaport. The reduced truck movements will reduce C02 emissions. The company’s energy supply is also being made more sustainable by using industrial residual heat. The objective of the RIG is to boost the business climate and employment for industrial companies in the Eems Delta region and on the Groningen Campus. In 2014 a total of €40 million was made available by the Ministry of Economic Affairs, the Economic Board Groningen (EBG) and the Province of Groningen from the Spatial Economic Programme (Ruimtelijk Economisch Programma) for the implementation of the RIG. The RIG is part of the EBG’s programme and the Provincial Groningen@Work 2016-2019 programme, the aim of which is to strengthen the regional economy and help as many Groningers as possible to find jobs. The Samenwerkingsverband Noord-Nederland (SNN) runs the RIG on behalf of the provincial authority. For more information about the RIG, please visit www.RIGscoortTop.nl.